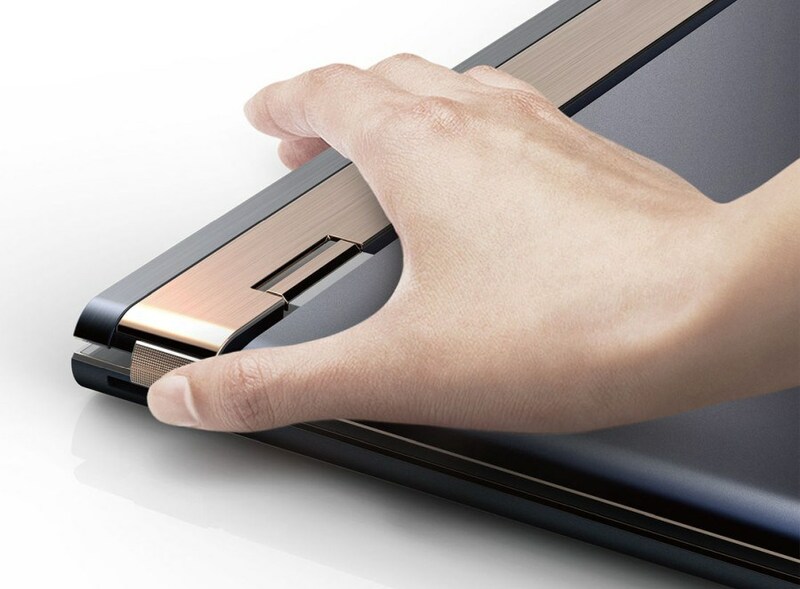 The new hinge system for convertible laptops was presented by Compal at this year's IF World Design Guide competition and it could soon be implemented in HP and Dell models. 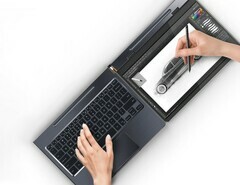 Thanks to a special locking mechanism, the touchscreen can be placed to the right of the keyboard, improving workflow for content creators that need access to keyboard shortcuts. Convertible laptops have become quite popular over the past several years and most OEMs are refreshing their 2-in-1 offers almost yearly these days. 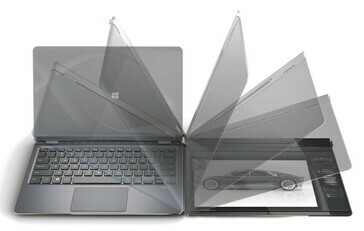 Up until now, OEMs only tried to update the original design that allows users to flip the screen 360 degrees with better and sturdier hinge systems. However, it looks like Compal wants to shake things up for the convertible market and introduce a new hinge system that allows for more ergonomic uses. The DuoFlip design introduces a special hinge system that allows the screen to be positioned to the right of the keyboard and open up like a book. Compal explains that the lid needs to be closed in order to activate the special release lock in the top left corner. This new tablet mode should better serve content creators who use the stylus to draw with one hand, while the other hand can easily access keyboard shortcuts for increased proficiency. Presumably, the hinge system can be adjusted for right-handed people, as well as left-handed ones. Compal’s new design has just been submitted to the IF World Design Guide competition, yet it is still unclear if the Taiwanese company intends to implement it into commercial products coming from partners like HP and Dell anytime soon.